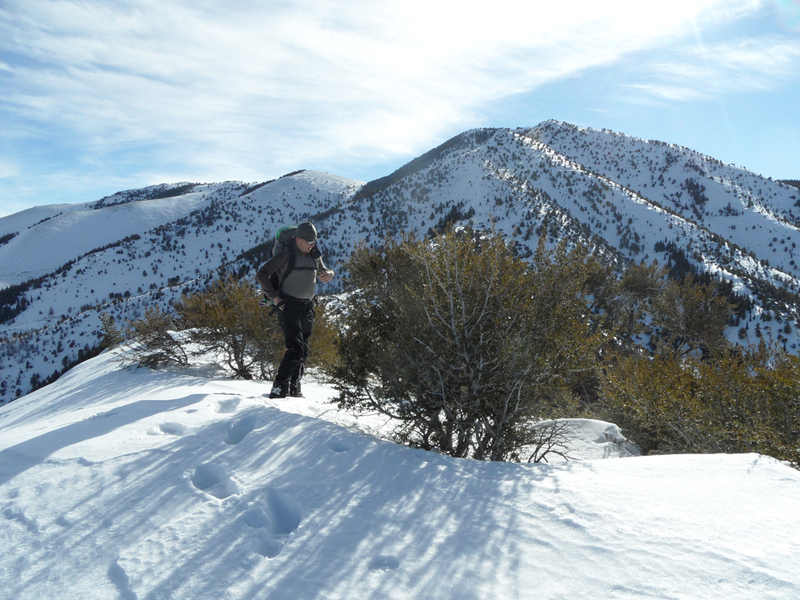 Is Porter Peak a winter ascent if it's warm and sunny? Michael found this one. 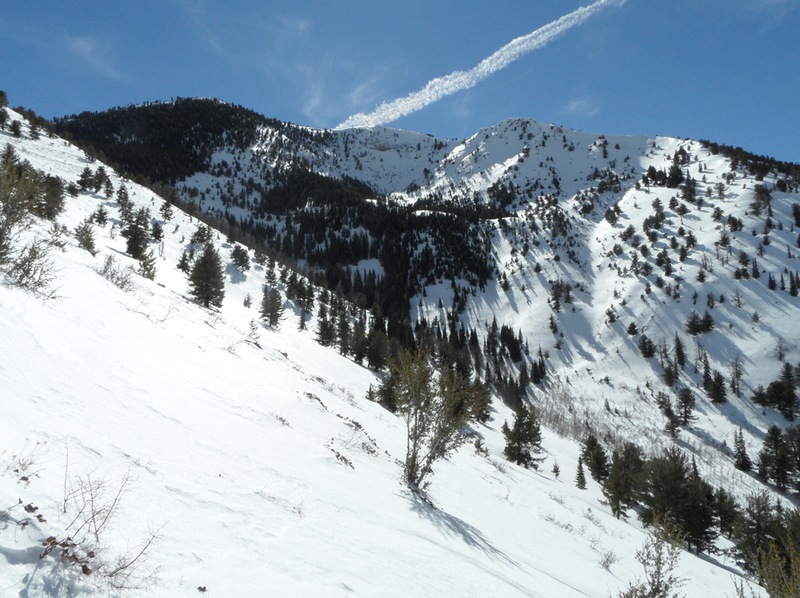 It is Porter Peak in Nevada's Bull Run mountains. This is just south of the Duck Valley Indian reservation. The road shows on the Nevada map as "Highway" NV-228. The road today would be passable to pretty much any car, although extra clearance would be nice. If it was wet, all bets are off; this road appears to have gumbo conditions similar to the Owyhees, if the ruts are any indication. Here's a zoomed version showing our route. 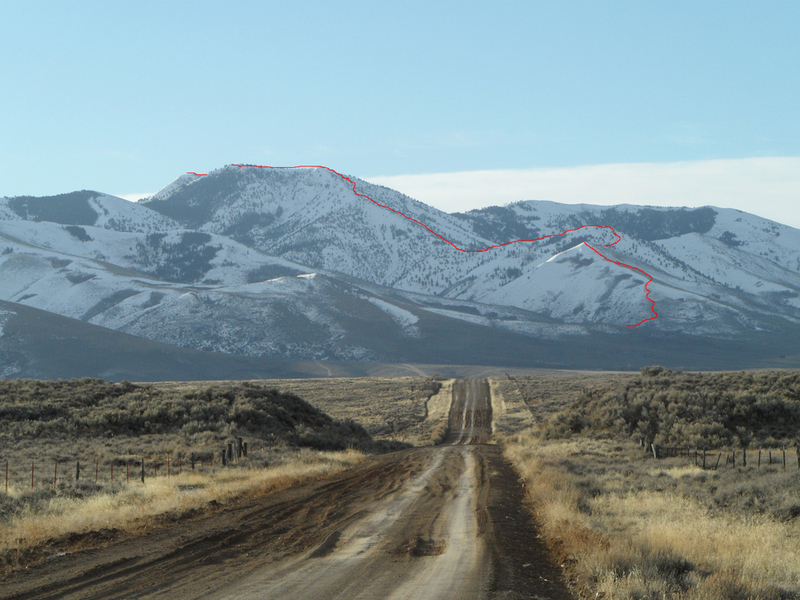 Some of our info came from SummitPost, but the SP page describes a very different climb; they drove all the way to the ridgetop just left of the peak. 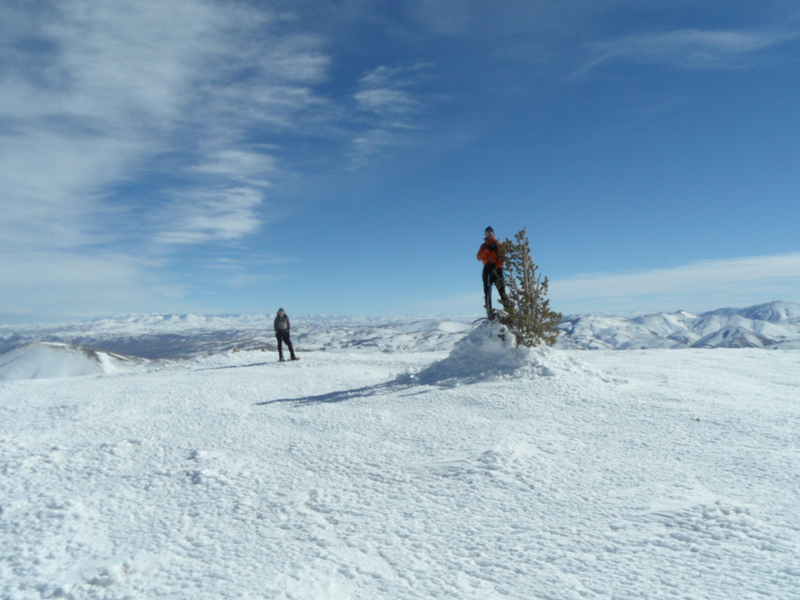 We agreed that we wanted to climb the ridge for the views and to get to know the area. And it looked cool. We had planned on not having any access at all, to hike right from the main road. When we got there, the spur road up the canyon didn't look too bad, so we drove across the flats and parked by some old ruined shacks. Despite the barren landscape, there are old shacks and sheds all over, plus along the main road there are some rather impressive-looking ranch headquarters, complete with multiple floors and porches with columns. 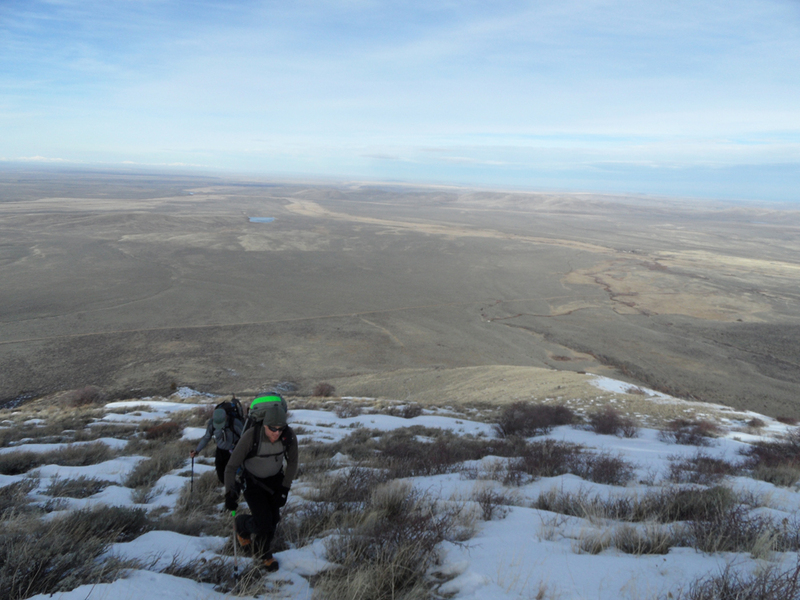 Only about three hours from Boise, we were on our feet and walking up the spur road another 1/4 mile, then quickly left it to gain the ridge just south. Soon we were working our way up the ridge at a good clip, moving between snow patches. 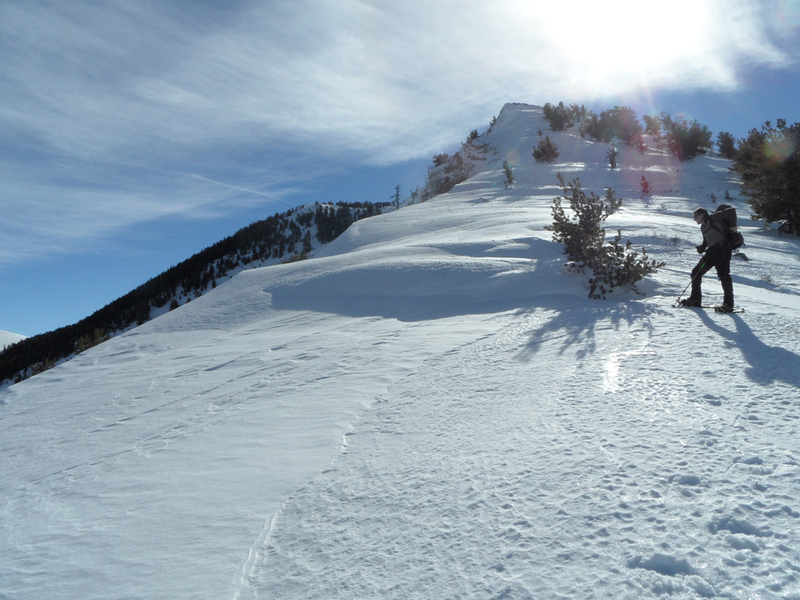 After 1400 feet or so of steep gain, we topped out on our first significant bump on the ridge, where we put on the snowshoes. That's more of our ridge behind Sean, but you can't see the actual summit from here. The ridge was fun and scenic, with mountain mahogany and white-bark pine. The ridge threw us a few challenges. 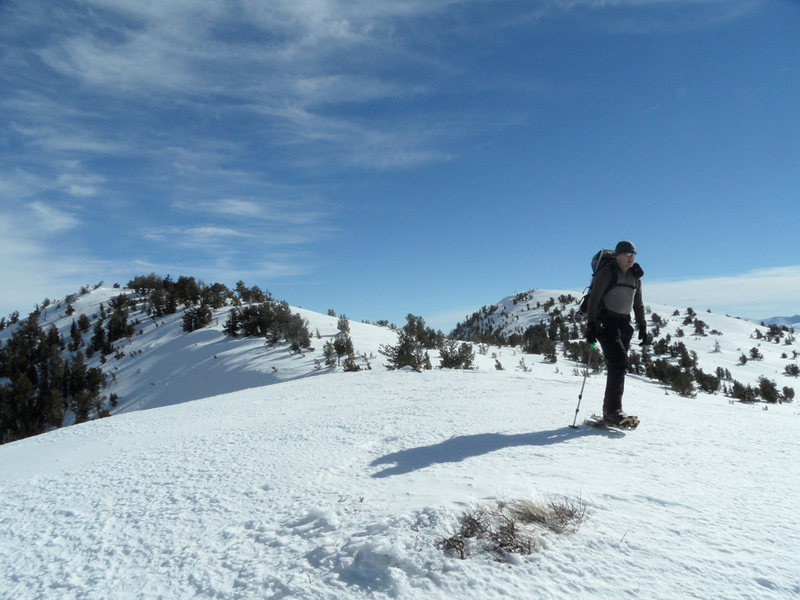 For the most part the snow was pretty good, but it was steep enough that maintaining traction with snowshoes was at times a challenge. But despite the hard work, we were entertained by the massive views. There were a few false summits. And then we were on the summit ridge. Then there were more false summits. Which one is taller? The farthest one, of course! If you noticed the big fabulous peaks behind Sean in the previous photo, those are the Jarbidges. The funny thing about northern Nevada is that you are in the middle of no where, and there seems to be a large amount of nothing. 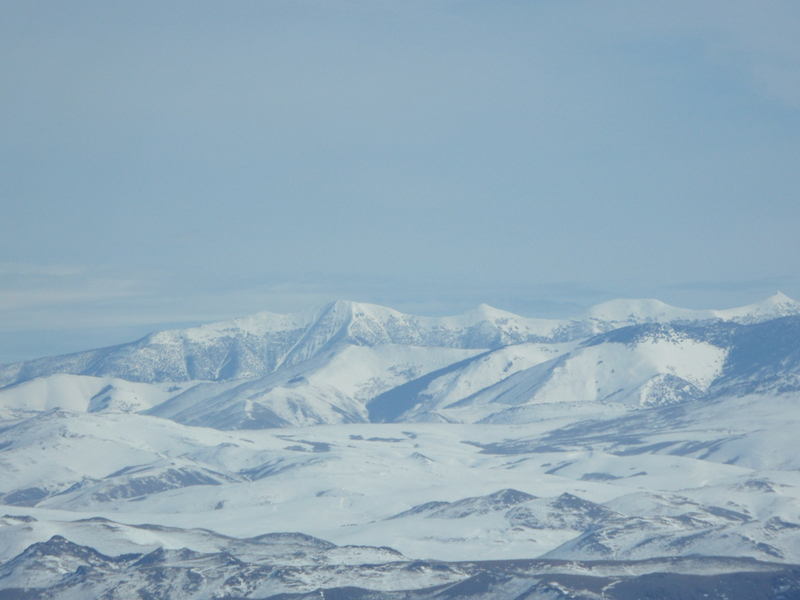 But there are mountains in view everywhere, now especially visible with snow on them. 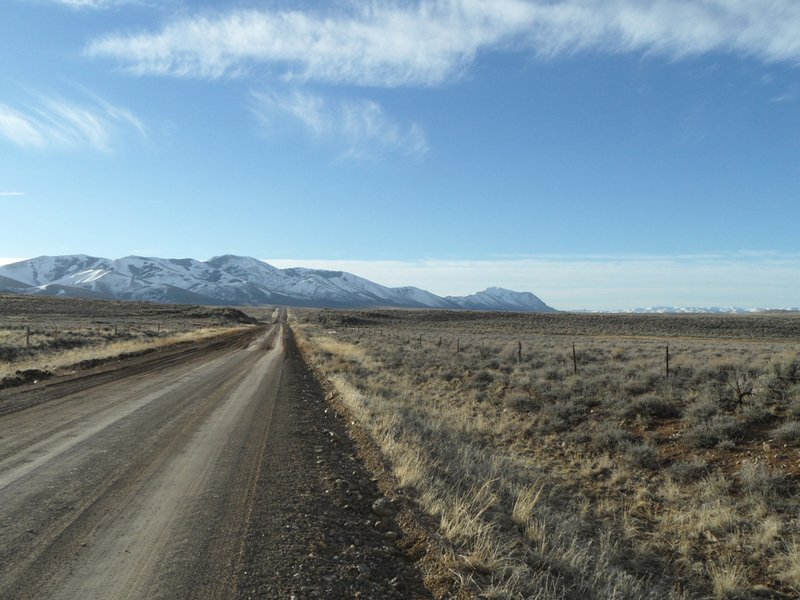 This is the Santa Rosa range, just north of Winnemucca. 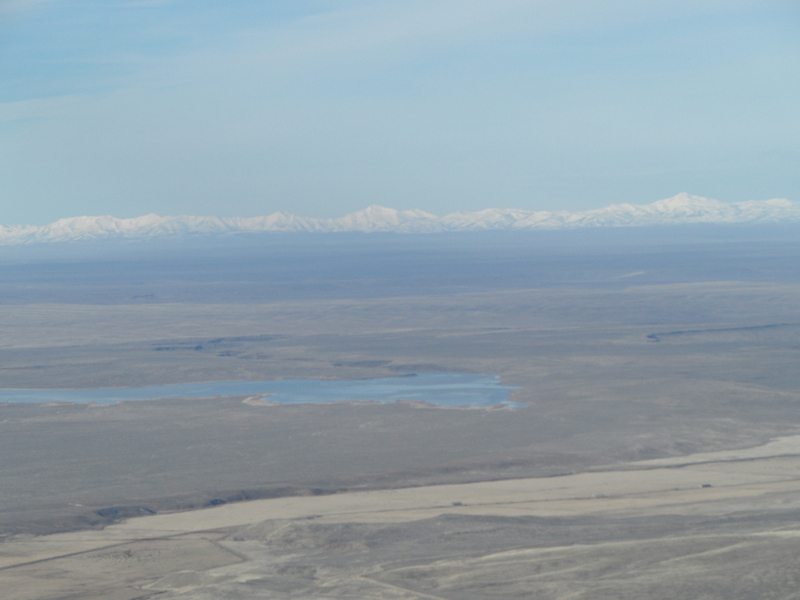 The high point on the right is Granite Peak, and the highpoint near the middle is Santa Rosa Peak. We had a nice lunch in the warm sun and brisk wind, then hoofed it down a subsidiary ridge and back down into Rock Creek to make a loop of it. From the old road in Rock Creek, this is looking back up at the ridge we had climbed. Great day. Super weather. Neat area.